It’s a miracle this album ever secured a release—one iteration of the record was destroyed in a tornado in 2011, and Tremblay nearly died in a heart attack in 2017. Despite all the odds, this almost 30-year-old record is making its long overdue debut, and Southern rock is better for it. The band recorded an album in 1990, but after enduring a series of setbacks, they never got around to releasing it. 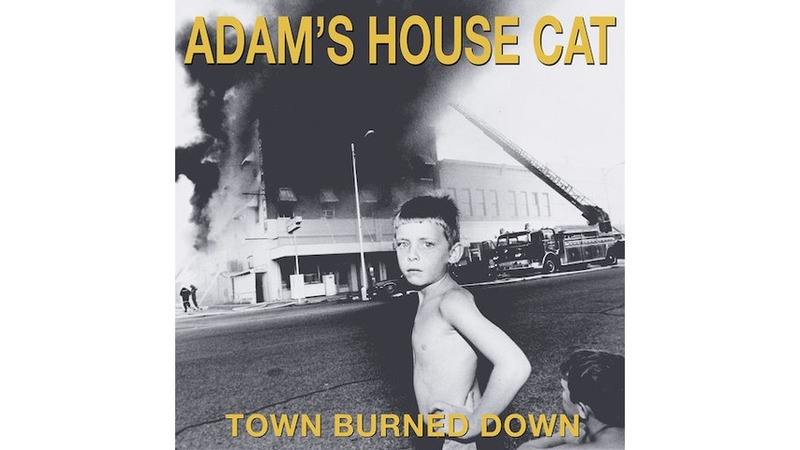 Then in 2015, almost 20 years after Drive-By Truckers’ formation, producer David Barbe unearthed a box of long, lost Adam’s House Cat tapes from his Athens studio, where Hood re-recorded all the vocals earlier this year. Now, Town Burned Down, born of those original tapes and Hood’s revamped vocals, is finally seeing the light of day as a proper release on ATO Records. Town Burned Down is a delightfully grimey portrait of wanting to get the hell out of somewhere. Equal parts heady and twangy, “country punk” seems the most fitting classification. When Hood and Cooley moved to Florence, Ala., in 1985, the music scene in neighboring Muscle Shoals was all but buried. The legendary studios, and a local scene, have since resurged, but the Muscle Shoals of the late 1980s was something of a musical wasteland. Hood and Cooley were young, isolated and frustrated. Small town life can be stifling, and Town Burned Down exemplifies a gasping for air. There’s a song literally called “Buttholeville,” which also appeared on Drive-By Truckers’ 1998 debut Gangstability, that’s so grossly disagreeable it could only have been written by a young, angsty person grappling with with his limited surroundings. “One day I’m gonna get out of Buttholeville,” Hood shouts. “Gonna reach right in/ Gonna grab the till.” Heavy guitar, thrashing drums and general dismay are a nod to punk, while the track’s deep-set echoes recall early R.E.M. A foreshadowing of what would eventually become the Drive-By Truckers’ signature southern sound, Town Burned Down is also an homage to classic rock. “6 O’Clock Train” wears its Bruce Springsteen influences on its sleeves, defined by rowdy, three-piece rock ‘n’ roll. Simultaneously, Hood’s distinctive drawl distinguishes it from anything else in rock up to that point—Adam’s House Cat manage to play up the vastness of arena rock while also lassoing countryfied sounds. Hood is left feeling uneasy when the evening train whizzes by his house, once again pining for escape. “I got this misery of a feeling lying all around my head/ That I just can’t shake.” Another song with locomotive influences, “Runaway Train,” is gritty southern rock ‘n’ roll at its best. The track’s heavy, bellowing guitar made angrier by Hood’s yelps place it somewhere between Lynyrd Skynyrd’s howls and Whiskeytown’s sootier work. Politics aren’t an overt theme on this record, maybe not even a noticeable one—certainly not when compared to Patterson Hood’s later efforts. American Band, Drive-By Truckers’ 2016 offering, is nothing short of a protest record, with “What It Means” serving as its raging anthem. But politics have always been a part of Hood’s and Cooley’s music, and they find a way to peep through on Town Burned Down. One song, “Child Abuse,” isn’t a picket sign, but it’s still a rallying cry, a kid’s plea for peace told from the perspective of young men still children themselves. “Just show me compassion,” Hood sings. “I’m sorry for what I’ve done.” There’s nothing on Town Burned Down as blatant as American Band’s clearly stated politics, but there’s just enough strife aimed at rural American gloom to make a statement. While Drive-By Truckers would later go on to speak for a sea of voices, Adam’s House Cat were mainly concerned with amplifying their own. Town Burned Down is a record made possible by youthful anger, but it’s not too hot-headed for its own good. Had this album been released in 1990 following its original recording, I reckon it would have a place among the decade’s best country-adjacent albums.